Why did people think these posters were so interesting? To put it simply, they had never seen anything like them before. 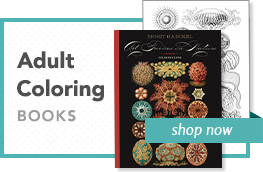 And they were fun to look at: bold, colorful, and large. 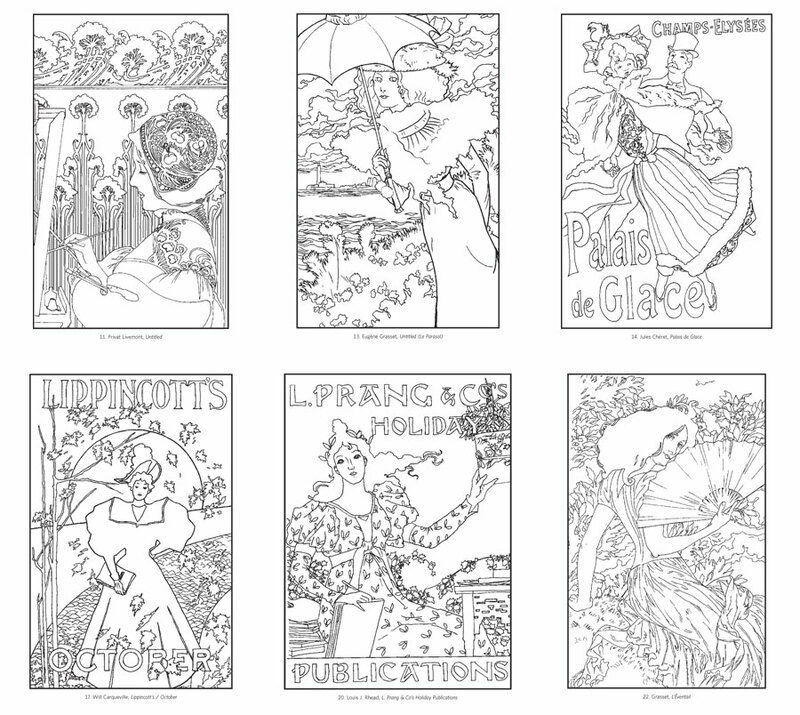 They became a vital element of an art style called Art Nouveau, or “New Art,” which was highly popular in both Europe and North America from about 1890 to 1914. 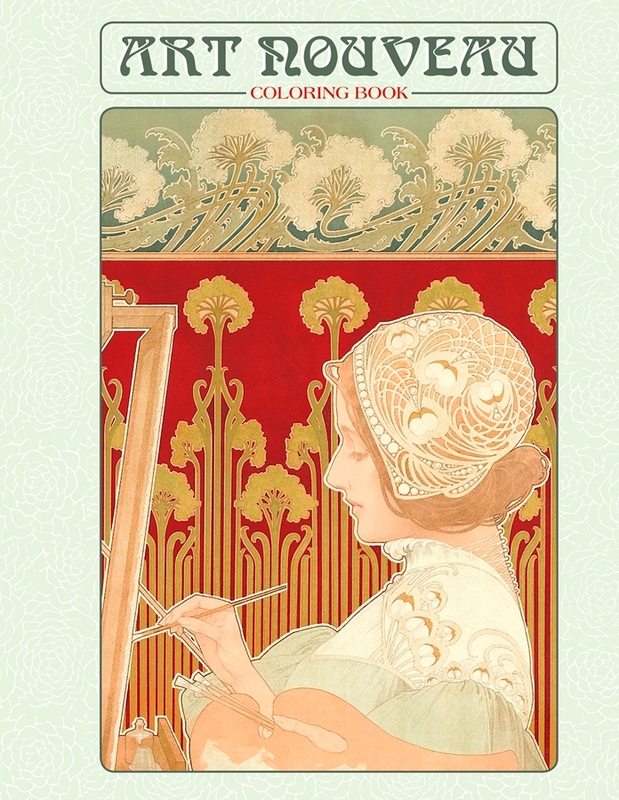 In its organic elements, Art Nouveau was seen as a reaction to the rapid growth of industrial manufacturing. 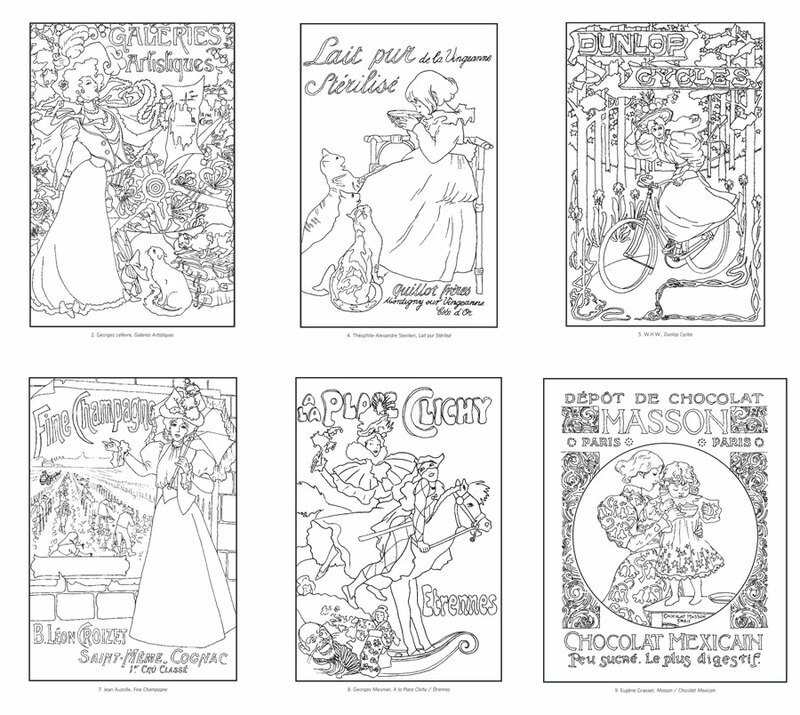 This coloring book contains twenty-two line drawings of Art Nouveau posters for you to color. 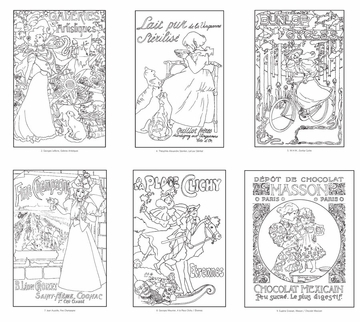 The full-color posters are shown as small pictures on the inside front and back covers. 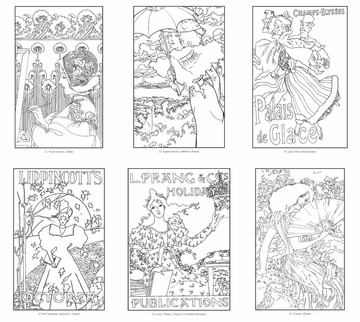 When you color in the line drawings, you can copy the original colors or you can be a trendsetter. We’ve left a blank page in the back of the book so you can create your very own sensation. And don’t forget to sign your work with a flourish! Jules Chéret (French, 1836–1932), Halle aux Chapeaux, 1892. Georges Lefèvre (French, 1876–1953), Galeries Artistiques, 1900. Privat Livemont (Belgian, 1861–1936), Cacao Van Houten, 1897. Théophile-Alexandre Steinlen (Swiss, 1859–1923), Lait pur Stérilisé, 1894.